We went online today, and look what we found! 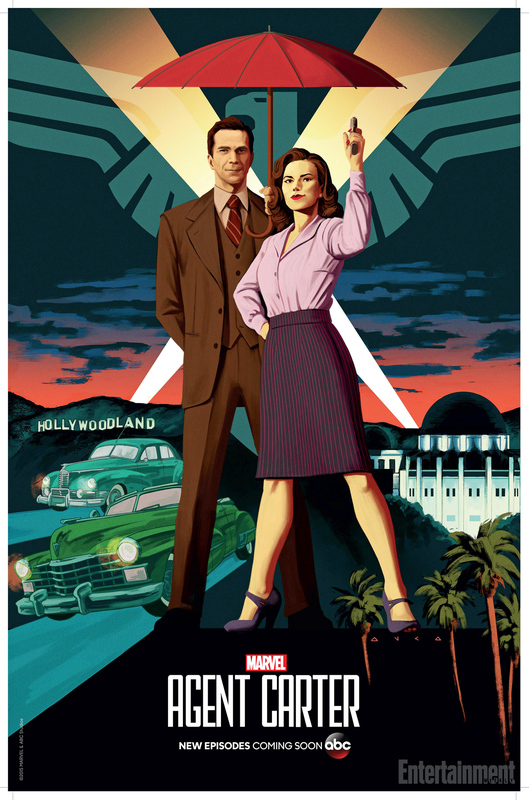 They’ve got an official poster for Agent Carter for the San Diego Comic Con, and we love it! So, in case you haven’t seen it yet, here it is. Since they’ve already announced that season 2 is going to take place in L.A., the Hollywoodland sign in the background should not come as a surprise. And the return of James D’Arcy and Enver Gjokaj has been announced as well, so yay! more Jarvis and Sousa. Are you gonna stick around for the second season of Agent Carter?